Carry and present Membership Card for identification and use of Fitness Center amenities. Use of Facilities maybe denied without proper I.D. The minimum age to register is 16 years old. Wear the proper attire and appropriate shoes. Commit with religious beliefs, customs and traditions of kingdom of Saudi Arabia regarding the clothing, the manners and behavior inside the center and behaving in a way that could annoy the members. Follow the proper safety rules when using equipment. Ask Fitness instructors when needed. Al Manahil Management does not undertake any responsibility or legal liability resulting from injury to the participants during sports activities. The member must fill the health questionnaire before subscribing and in some cases should bring a medical report before subscribing. 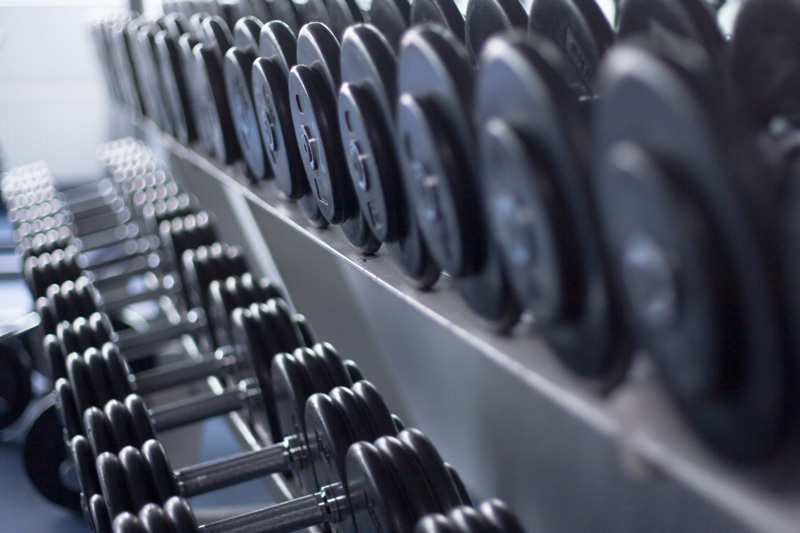 Return back all equipment and weights to their proper place after using. Maintain cleanliness and orderliness at all time. Food and beverages are not allowed inside Al Manahil (Except Water and the work out beverages that are not provided in Al Manahil). Make sure to leave the lockers empty at the end of the day. Return the locker key and towel every time after use. The Fitness Center will not be responsible for any loss or damage to any personal property of the fitness Member or their Guests. It is not allowed to sell or market any kind of products or companies, or any commercial or practical activity that benefits the member in one way or another. Smoking is strictly prohibited in Al Manahil Premises. Taking photos is strictly prohibited in Al Manahil Premises.  Fitness Members and Guests are expected to abide by these Rules. Any Members who conduct themselves in an unbecoming manner, or who knowingly violate any of the Membership Rules may be denied service and or access to the Fitness Center or may have their membership suspended or forfeited. Appropriate clothing and Foot wear must be worn at all times (sandals, high heels, boots etc. are not allowed). Clients should obtain number cards from the reception prior to attending the group exercise classes to reserve their place. It is strictly prohibited to join the class 10 minutes after its start. The heating exercises at the beginning of any exercise are very important and should not be skipped. Stretch and relax exercises are very important before leaving the class. Cool down is equally important as Warm up to avoid Blood Pull Down. Please inform the trainer in advance in case you are leaving the class earlier. Prior to the beginning of the class, please inform the trainer if you suffer from any injury or pain so that she can help you with the appropriate exercises. All equipment must be returned back to its proper place at the end of the class. Kindly use a towel inside the studio. For safety, it is recommended not to chew gum during the class. Food and beverages are not allowed inside the gym (except your bottle of water). Mobiles are strictly prohibited inside the group exercise studio. Wear light accessories and perfume in a way not to annoy others when joining Group classes. The minimum age to use the steam room is 17 years old. Wear light clothing or swim wear when using the steam room. Take a shower before using the steam room to clean the skin completely. The duration of the steam room usage must not exceed 10 minutes. It is not allowed to use glass or any sharp objects in the steam room. It is not allowed to enter any metal piece into the steam room because it gets affected by heat. Do not touch temperature regulator; Al Manahil in charge staff is the only person allowed to regulate steam room temperature. Drink liquids in abundance to compensate the loss of body water during the steam session. It is recommended to remove contact lenses. It is prohibited to use soap or any other body products inside the steam room. Take a bath after using the steam room. It is recommended to drink water and beverages right after usage. Food and beverages are not allowed inside the steam room. In case of feeling uncomfortable or dizzy, you should leave the steam room immediately. Heart disease, high or low blood pressure, diabetes, kidney disease, or any other disease problems causing the inability to sweat or that could be affected by heat except with a doctor’s approval. Any contagious disease, wounds or sores. 3 Months Fitness Membership: Two passes free swimming. 6 Months Fitness Membership: Four passes free swimming pool. 12 Months Fitness Membership: Free use of the swimming pool. Check Pool Management For Pool Memberships Available For 1 Day Visit, 1M, 6M Or For Swimming Courses. Ladies should wear proper swimming attire: a leg suit swim wear or they can put leggings above the swim suit with fabric made of Lycra and jersey or nylon stretch. Ladies should wear hair cap and goggles must be worn at all times. Cotton Fabric is strictly prohibited. Footwear (thongs or sandals) must be worn around the pool at all times. Have a shower before entering the pool. Use a life jacket or buoy (float) if you do not know how to swim. Supervision for free swimming is not provided. It is strictly prohibited to get into the pool if you have an open sore that requires a bandage, flu, low blood pressure, diarrhea or any medical conditions. Please inform instructors of any medical issue you have such as diabetes, tubes in the ears, epilepsy, asthma or any physical or mental disabilities. Avoid eating heavy meals before you come for your swimming activities. No food or drink other than water is to be consumed in the pool area or changing rooms. Pool access passes included in Fitness membership (3M/6M/One-Year) shall be used during Fitness Membership only. Freezing is not allowed. Pool access passes included in Fitness membership (3M/6M/1Yr) are non-transferable and cannot be exchanged for cash. Management is not responsible for any lost or stolen items. Photos and videos are strictly prohibited in All Al Manahil premises. Smoking is strictly not allowed in all Al Manahil premises.